Founded in 1986 by Mike Richardson, Dark Horse Comics has proven to be a solid example of how integrity and innovation can help broaden a unique storytelling medium and establish a small, homegrown company as an industry giant. The company is known for the progressive and creator-friendly atmosphere it provides for writers and artists. In addition to publishing comics from top talent, such as Eric Powell, Mike Mignola, Geof Darrow, Brian Wood, Gail Simone, Stan Sakai, and Guillermo del Toro, and comics legends, such as Will Eisner, Milo Manara, Kazuo Koike, Neil Gaiman and Frank Miller, Dark Horse has developed its own successful properties, such as The Mask, Ghost, Xand Barb Wire. Its successful line of comics, manga and products based on popular properties includes Dragon Age, Buffy the Vampire Slayer, Aliens, Conan, Tomb Raider, Halo,The Witcher, Serenity, Game of Thrones,and Avatar: The Last Airbender. Today Dark Horse Comics is the largest independent comic book publisher in the US and is recognized as one of the world’s leading entertainment publishers. ComiXology, an Amazon.com, Inc. subsidiary (NASDAQ:AMZN), has revolutionized the comic book and graphic novel industry by delivering a cloud-based digital comics platform that makes discovering, buying, and reading comics more fun than ever before. 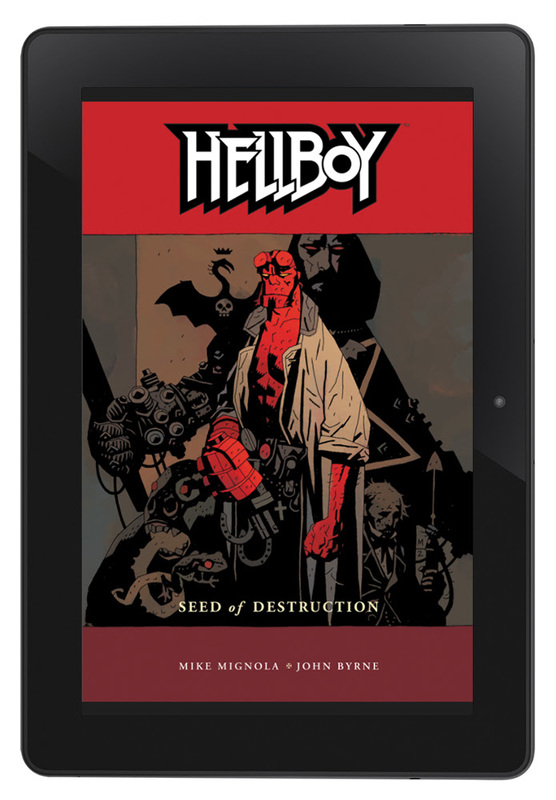 ComiXology’s Guided View reading technology transforms the comic book medium into an immersive and cinematic experience, helping comiXology become a top ten grossing iPad app in 2011 and 2012 and the top grossing non-game iPad app in 2012 and 2013. Offering the broadest library of comic book content from over 75 publishers – and independent creators as well – comiXology will not stop until everyone on the face of the planet has become a comic book fan. ComiXology is based in New York City, with operations in Seattle, Los Angeles and Paris.